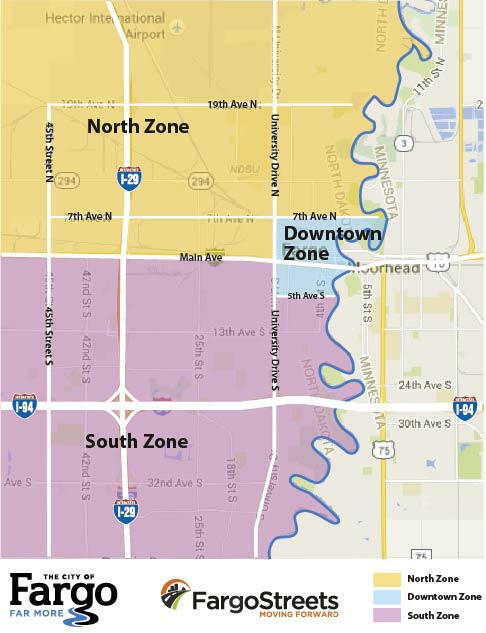 UPDATED The North Dakota Department of Transportation (NDDOT) and City of Fargo will begin reconstructing Main Avenue from Red River Bridge to Broadway this year. 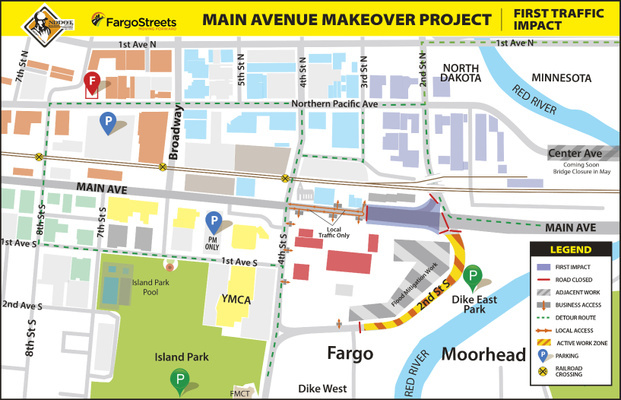 In 2020, the second-year of reconstruction work will improve Main Avenue between Broadway to University Drive in downtown Fargo. 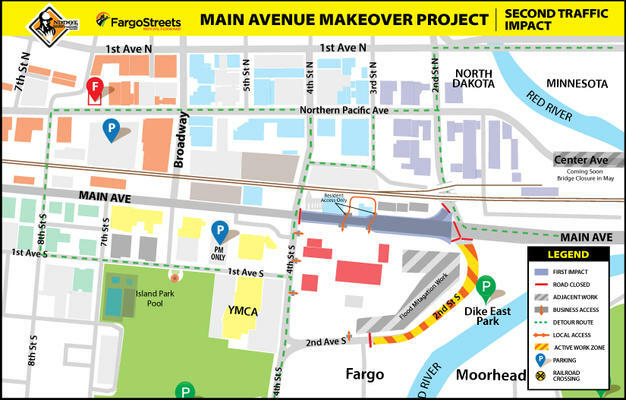 Monday, April 15 at 4 – 6 p.m. - A public information meeting will be held at Depot (701 Main Avenue, Fargo) to share the slated project schedule. Formal presentations will be held at 4:30 and 5:30 p.m.